Function: Fully padded Side Loading Storage System™ boot backpack with room for helmet and accessories. Fabric: Padded, durable and tough water- resistant coated 1680 ballistic nylon. 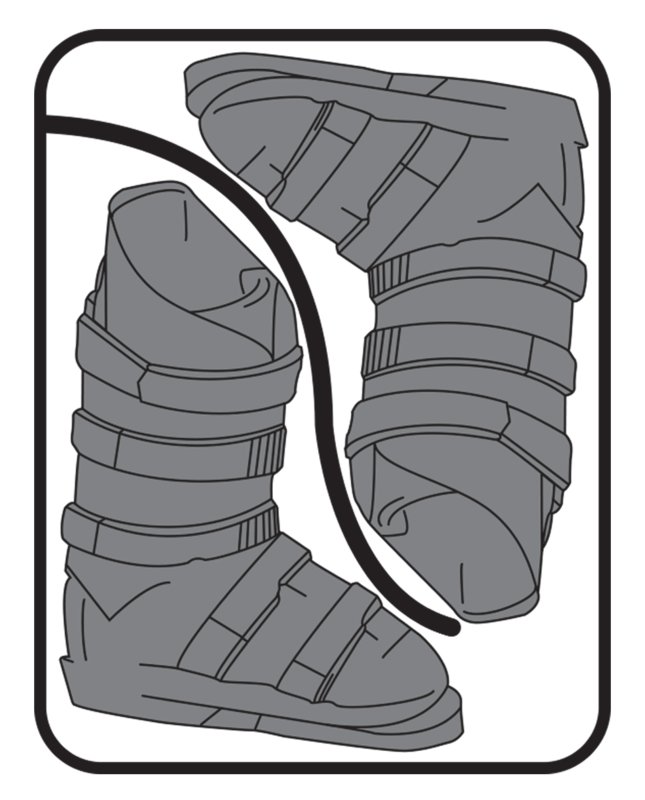 Side door opening easily accommodates a pair of boots in the central compartment. Backpack with boots will fit into most airline overhead compartments. Padded adjustable divider in the boot compartment to keep boots from rubbing against each other. Molded padded ergonomic mesh back. Fully integrated padded laptop pocket. 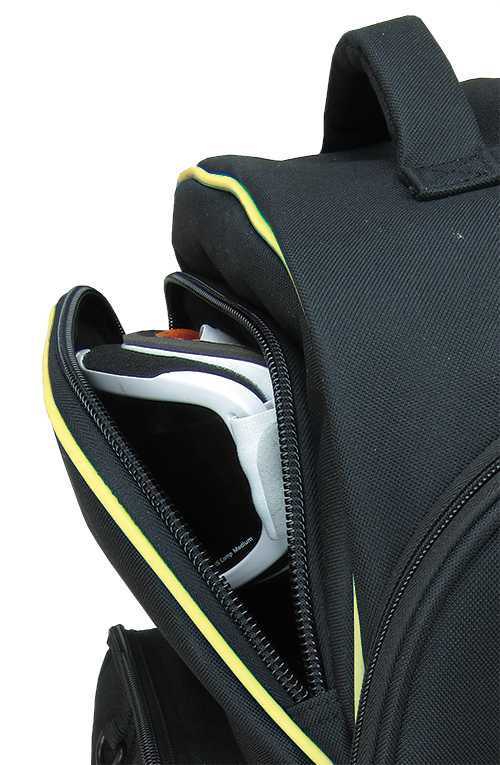 Hidden zippered expandable helmet pouch with external and internal tool pockets. Padded foam top and side handles. Adjustable sternum strap for weight distribution and stability.